After 83 books it’s inevitable that I already have a few favourites from my reading challenge. There are three books battling it out for top spot, and Sweden’s The Hundred-Year-Old Man Who Climbed out of the Window and Disappeared is one of them. Granted, after countless dark memoirs and grief-stricken recollections, the lighter tone of The Hundred-Year-Old Man was much-needed. But considering I’m a fan of the cheeky humour of writers like Terry Pratchett and Douglas Adams, it’s no surprise that I took to the equally cheeky and charming writing of Jonas Jonasson like a fly to manure. It may be lighter in tone, but what it has to say and how it says it, is just as important as any of the more dramatic works I’ve read. The characters too bring abundant entertainment, warmth, and cathartic relish; and it’s very fitting that one of the tops books in my challenge – and its tenacious central figure – comes from Sweden. My favourite literary character of all (my) time is Sweden’s beloved Pippi Longstocking (or Langstrumpf, as I grew up knowing her), created by Astrid Lindgren. 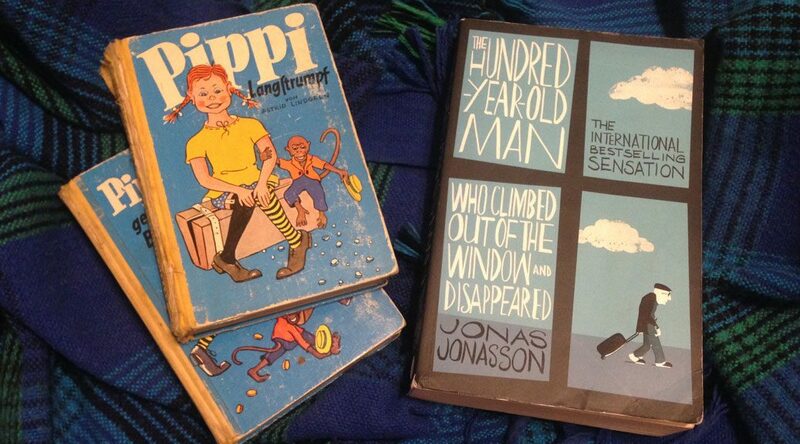 Just like Jonasson’s protagonist and title character, 100-year-old Allan Karlsson, Pippi bucks trends and thinks beyond her freckled nose. She lives her best life in a manner that defies anyone to box or define her – which is what I love about Pippi – and when Alan finds others trying to do the same to him, he just climbs out the window and disappears. The Hundred-Year-Old Man – both book and character – clips along at a brisk pace, because being old doesn’t mean you have to be slow. And Allan Karlsson is no fool, he’s just out to have fun, which is the least of what life owes us. As it races along its breathless path of adventure, you will at almost any point be greeted with the aforementioned cheeky humour, as demonstrated so jauntily below. If it is possible to become stone cold sober instantly after having just downed a whole bottle of tequila, then that was what Vice President Harry S. Truman did. Yes, historical figures figure prominently in this story. And because Allan’s story involves flashbacks of his 100-year old life alongside his current run from the retirement home he’s been reluctantly inhabiting, we’re taken on a journey of 20th-century history that is far more entertaining and insightful than any high school class ever was. Trevor Noah was recently taken to task for making light of potential war between India and Pakistan. What his detractors failed to notice or highlight is that humour is how we heal. We should by no means make light of the pain and suffering that people live through during and after war. But if there’s one thing this challenge has taught me it’s that humanity is defined by war – even a work of humourous, light-hearted adventure like Jonasson’s involves war and its contingent terrors. And if we are to take the horror of this defining factor to heart all the time, we’d never make it through the depression that is our society. As a human race we may never be able to escape war, but we can rise above it. Through humour we give ourselves agency maybe not to defeat war, but to defeat its effects. That’s what Noah tries to do through his routines, and Jonasson through his writing. We should never forget that comedy is one of the most (if not the most) powerful forms of social commentary, and that laughter is the best medicine.